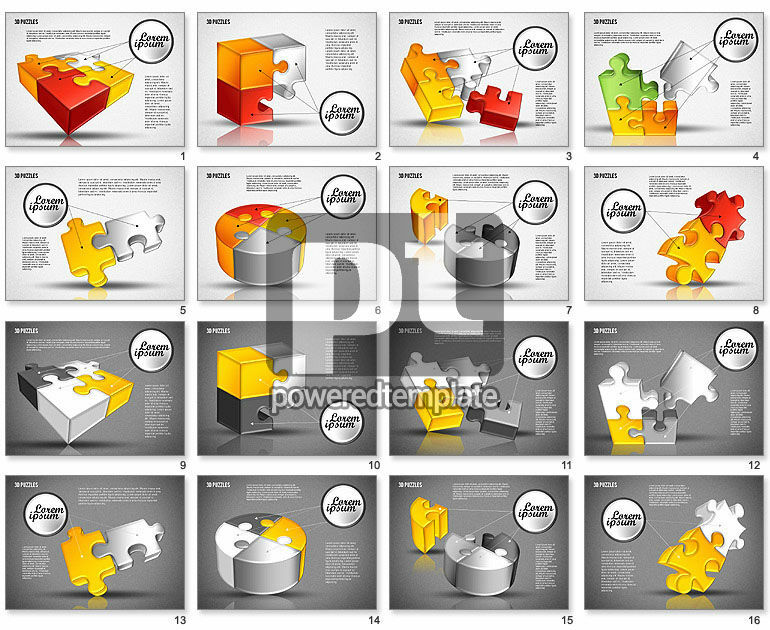 These presentation slides 44058 are complete compatible with Google Slides. Simple download PPTX and open the template in Google Slides. This stunning template is a unique example of versatility and style in one sample. It represents few colorful 3-D figures, connected in a puzzle manner. You can use this great theme in presentations dedicated to step by step actions, new visions, sequences, making decisions, management and so on. Your audience will definitely like the style of your presentation with this sample.